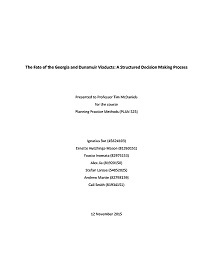 Dr. Tim McDaniels' class - Planning Practice Methods: Insights from policy analysis, planning and decision-making (PLAN525) have completed their group reports. 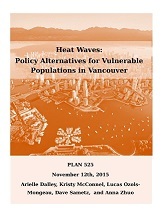 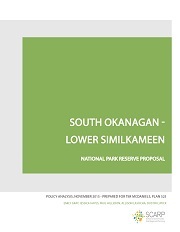 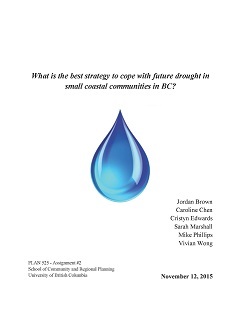 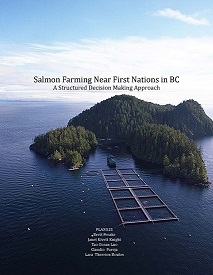 Topics range from Heat Waves and Drought to Fish Farming and Laneway Housing. 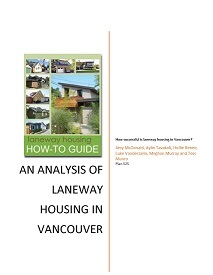 Have a look at these thoughtful reports on issues in the community.